Laos and Cambodia to the west, the East Sea to the east, China borders it to the north and the Pacific Ocean to the east and south, Viet Nam is a strip of land shaped like the letter “S”. This country was known as the place of war and poverty in the past, but it has been changing recently. Now you can see smiles everywhere in Vietnam and local people are especially friendly to foreign travelers. Stretching along the coastal area of South East Asia and presenting various kinds of geographical terraces, Viet Nam is fascinating traveler with its’ wonderful natural beauties: From the green rice fields in the north, the clear blue, tranquil waters of Ha Long Bay, the golden sandy beaches, to the fascinating bustle of the Mekong Delta in the south. This place will be the suitable destination for those who love to travel, explore, and enjoy the beauty of Mother Nature. Vietnam has 4000 years of history as rich and evocative as nowhere else on the planet. There are still a lot of historic sites such as ancient pagodas, remained kingdoms, temples, and the cultures of more than 50 races of Vietnam. With its fresh ingredients and diverse population, foreign travelers can experience many types of foods anywhere and anytime in Vietnam. 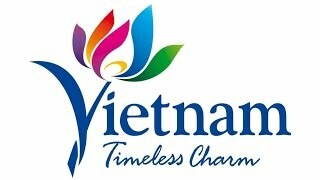 Our company was original founded in 1994 and is a pioneer in travel to Vietnam. Since then, it is considered one of the most respected and most reliable operators in the country. We pride ourselves on our knowledgeable, experienced and dedicated staff. We have established excellent relationships with many international tour operators and travel agencies in Europe and Asia. We have successfully organized many tours of Vietnam and Indochina in the interest of order and our foreign partners. We continue to develop our products by expanding the variety of our travel related products. We assure that we can offer the services you are looking for. Lately joining the international chain of Liberty group with the aim of further promoting Vietnam as a safe and friendly destination in Asia. We will be pleased to answer all your questions about tourism in Vietnam and guarantee at any time the highest standard of services. Highlights from our offer include among other arranging tours to Vietnam, Cambodia, Laos for groups or individuals which includes: Vacation, Adventure, Culture, Incentive, Trekking, Business, Honeymoon and Golf Tours. We organize International, Regional Conventions, Meetings & Exhibition (M.I.C.E Services), Hotel Reservation, Visa and Passport arrangements, Air and Train ticket booking or car rental services.